Aerial Aid can service your SKY satellite TV system. Normally much sooner than SKY can get to you. 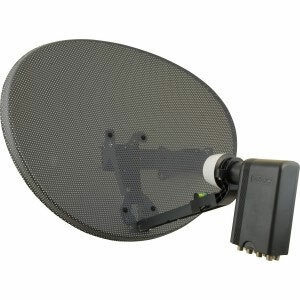 If your picture is breaking up or ‘No satellite signal’ is being displayed. Click HERE to find your local engineer. Aerial Aid can advise and install the best aerial or antenna solution which will enable to take maximum advantage of your new television. If you are experiencing problems with your digital signal, Aerial Aid’s quality signal engineers will get to the bottom of the problem. We can also help if you want help with extra TV points so you can watch TV in other rooms. Need help with your business WiFI signal? Got my wireless signal through to my kitchen. Delighted with my wireless network now. Thank you Aerial Aid !!! Covering Morecambe, Bentham, Blackpool, Chorley, Clitheroe, Preson, Burnley, Lancaster, Fleetwood, Carlisle, Barrow, Kendal, Keswick, Penrith, Lamplugh, Ambleside, Grasmere, Sedbergh, Broughton In Furness, Windermere and the rest of Cumbria and Lancashire.